Riyadh: Journalist Jamal Khashoggi died as a result of a physical altercation inside the kingdom’s consulate in Istanbul, Saudi Arabian official media reported on Friday. Two senior Saudi officials have been fired over the incident. Khashoggi was last seen on October 2 when he entered the consulate to obtain documents he needed to wed his Turkish fiancee, Hatice Cengiz, who called Turkish police after waiting outside the mission for more than three hours for the Washington Post columnist to come out, an Efe report said. 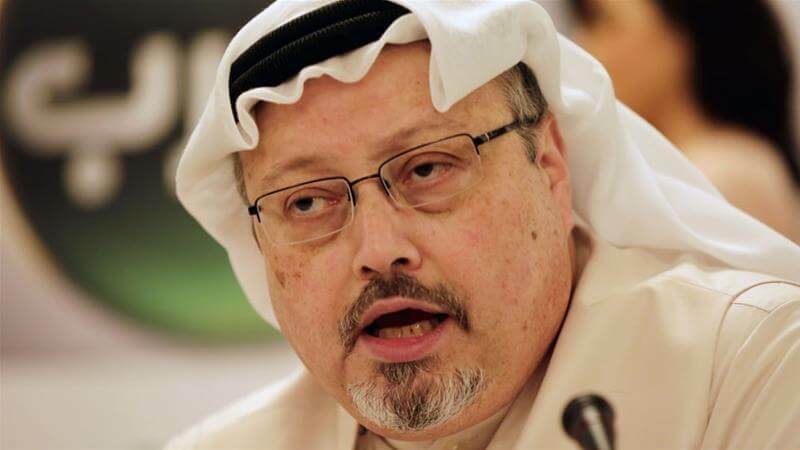 Citing the Attorney General’s Office, the Saudi Press Agency (SPA) said Khashoggi and the people who received him at the consulate got into an argument that turned violent, leading to the journalist’s death. Prosecutors said that 18 people had already been arrested in connection with the case and emphasized the “commitment of the authorities in the Kingdom to bring the facts to the attention of the public and to hold accountable all those involved”. In related developments, Saudi state television announced that Maj. Gen. Ahmed al-Asiri had been relieved as deputy head of the intelligence services, while SPA reported that Crown Prince Mohammad bin Salman, the kingdom’s defacto ruler, dismissed his closest adviser, Saud al-Qahtani. Khashoggi, himself a member of the Saudi elite, had been critical of the crown prince.